something we have done for as long as I can remember. I worry about life will be like for my family when I am away teaching…I know that not every country and everyone in the countries celebrate Christmas. Would I be able to have Christmas themed lessons? Or would I be able to celebrate it in the school?! I know that I will have to ask questions like that when I ever have my interview for teaching abroad. I have some resources that I have collected since I made the decision to teach English abroad; many from TES; a website for teachers here in the UK. 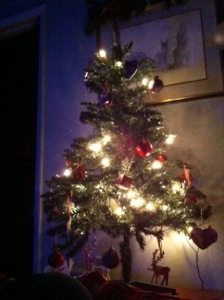 I wonder…would I be able to have a Christmas Tree in the class room or in the apartment? Would Christmas songs be able to be played or used for language practice? I do wonder; do you? !